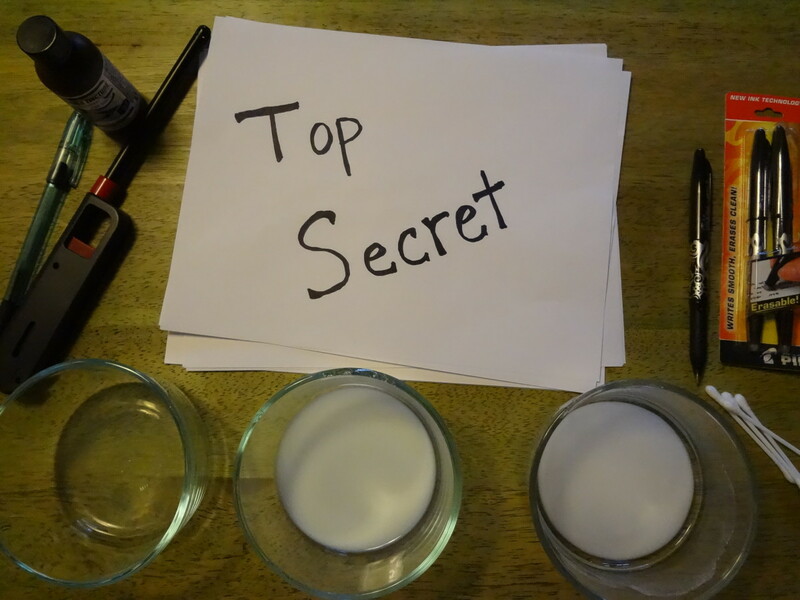 All you need is a package of gummy bears, some small see-through containers, water, and a marker. The time frame for this project can vary depending on how much time your child is given for the project. The project can be done in as little as a week (7 days) or it can be stretched out over a couple of months. Take the small containers and the marker. Label the containers for the number of days your child is going to do the project. (Day 1, Day 2, Day 3, etc.) I recommend empty baby food jars with lids since the day can be written on the lid. 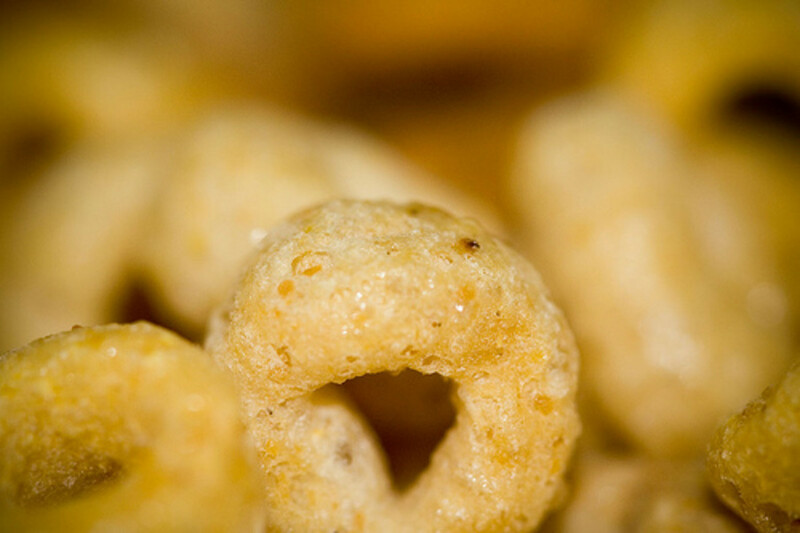 Fill the containers about half full of water – cold or room temperature, not hot. For each day of the project, drop a single gummy bear into one jar and close the lid. 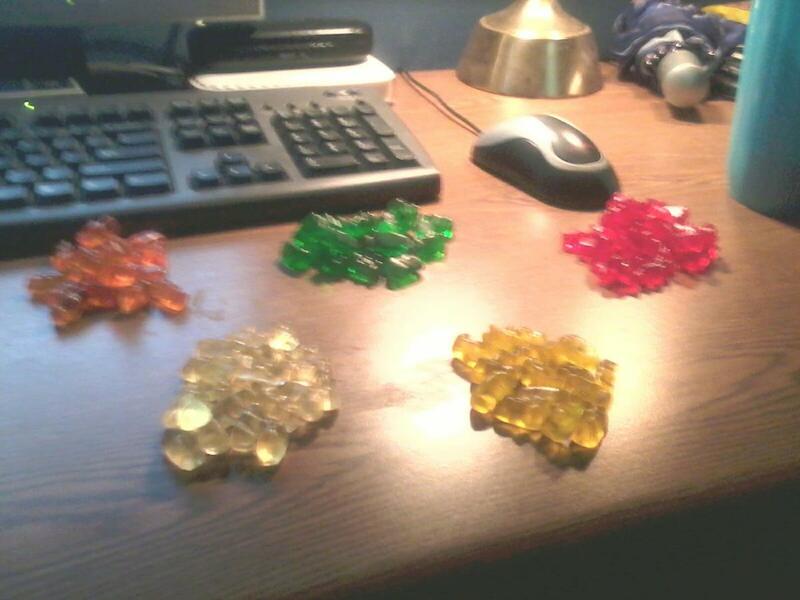 (I sorted my gummies by color, but this is optional.) Store containers in a cool space so that the water in the container does not get too warm and melt the gummy bear. (I stored them in the refrigerator, but they can be stored anywhere safe from heat and breakage.) You don’t have to worry about changing the water since the jar has the lid on. Each day that the gummies are in water, they will grow a small amount by absorbing the water. By labeling the containers, your child can show the progress of the growth. I recommend doing the project on a day-to-day basis for one to two weeks. 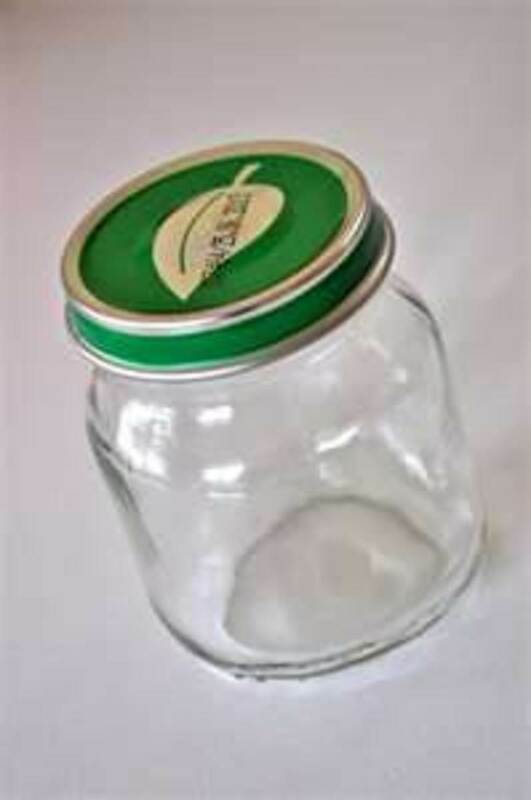 If your child wants to show the size of a gummy after one or two months in the water, I suggest doing only one gummy bear and labeling the jar with the date rather than trying to have a month’s worth of little containers to keep up with. 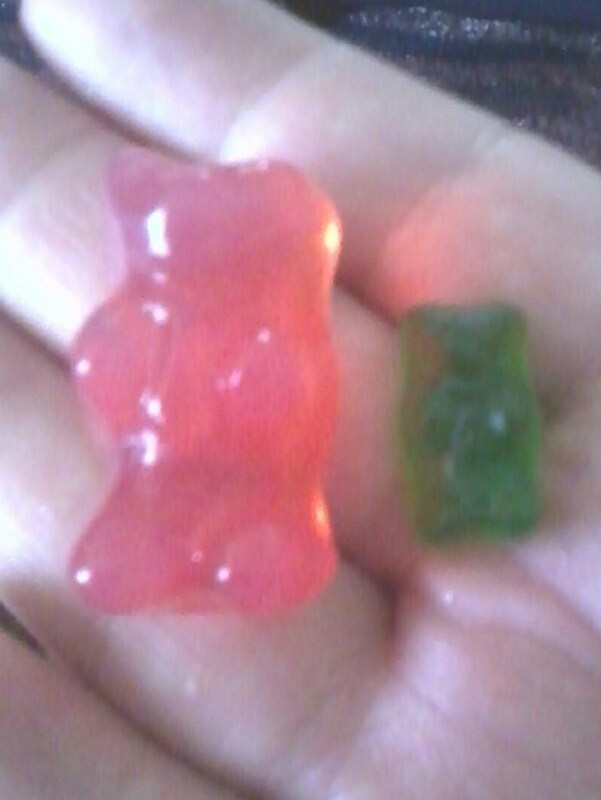 The picture shows the size of a gummy bear after a month in the water (compared to a regular gummy bear). The traditional gummy bear is made from a mixture of gelatin, sugar, citric acid, glucose syrup,starch, food coloring,andfruit flavoring. According to the HARIBO site, the bears are dried for 3 to 5 days after being poured into the bear-shaped molds. By placing the gummy bear in water, you are basically re-hydrating the gelatin, which allows the bear to grow. The basic steps of the project are over now. If your child is doing this for a school project, you can find pictures of gummy bears off of the Internet to add color to the report - to use like a backdrop for the jars. Your child can find more information (to beef-up the project) by visiting the HARIBO web site. 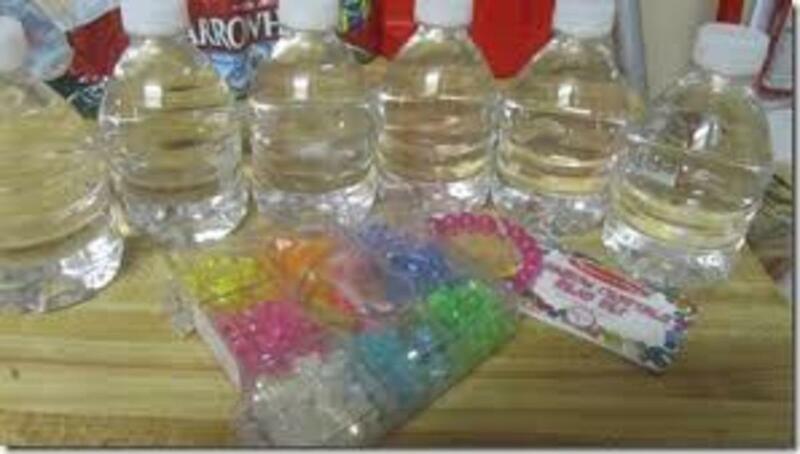 You can attempt the project using other gummy products, such as worms, rings, or sour gummy candy - I have not had as much luck getting them to grow. I hope you and your child enjoy this project as much as I did. Since the science experiment will not use all of the gummy bears in the bag, here are a few ideas to try with the extra gummy bears. Great ideas for parties for children! 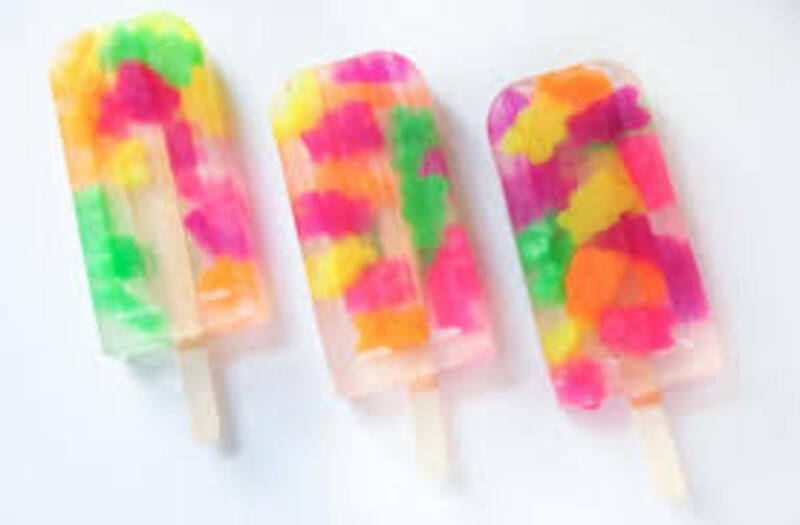 Gummy Bear Popsicles! 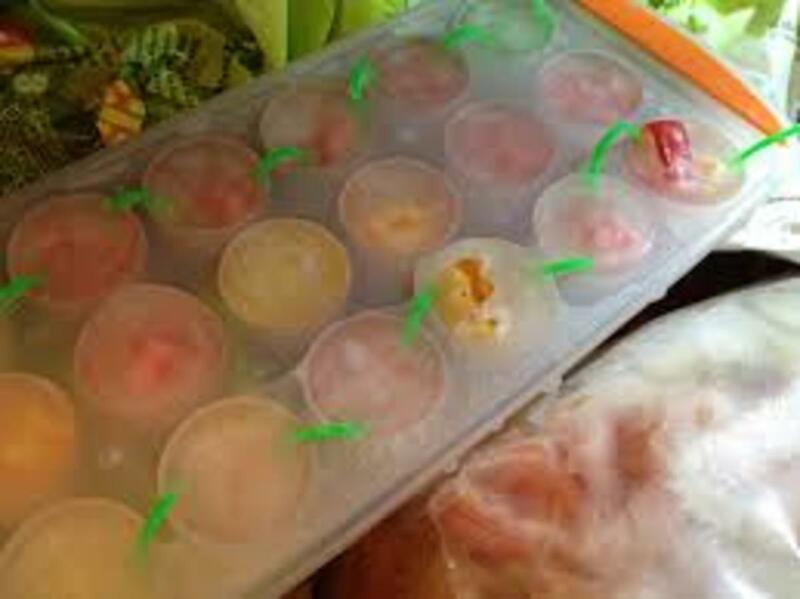 If you have the plastic trays to make your own popsciles, place 2 to 5 gummy bears in the bottom then fill with liquid - such as kool-aid, juice, or water. Gummy Bear Ice Cubes! 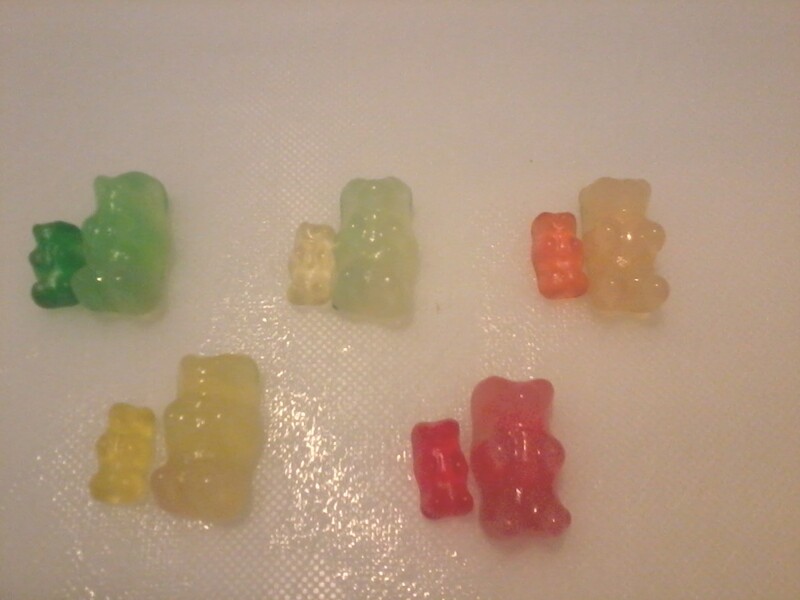 Take a regular ice cube tray, add one gummy bear to each cube, and fill with water. Also works with kool-aid or juice. Once the liquid is frozen, simply add to the drinks. I you have trouble getting your child to drink enough water, try dropping a gummy bear in a bottle of water. The gummy bear will add a little flavor to the water. The kids will think that the gummy bear is a treat for drinking all of the water. Caution: Do not use with young children that might choke on the gummy bear. This is a neat idea. 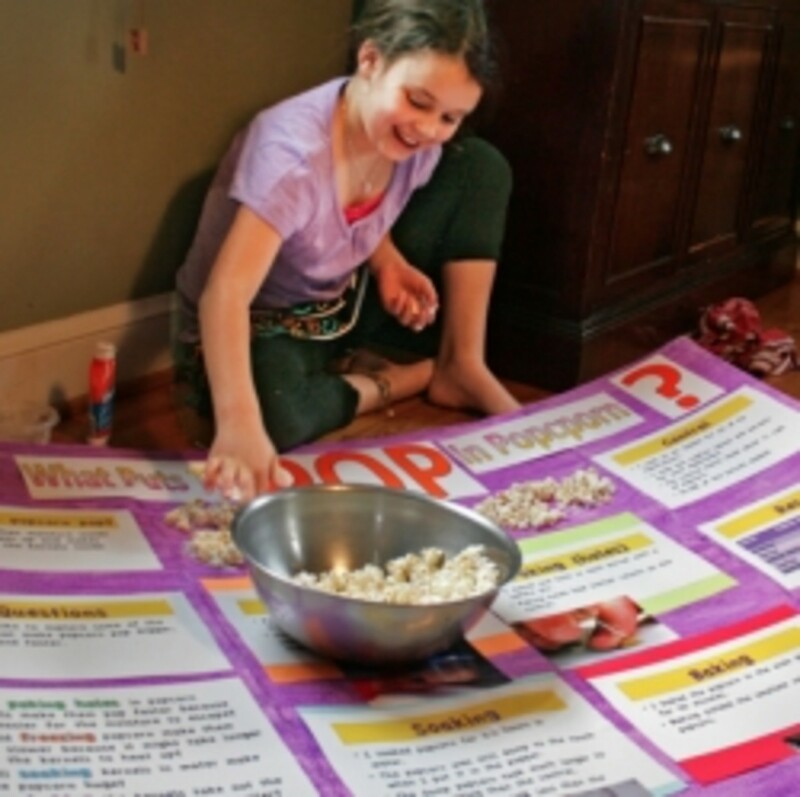 I love simple science projects with minimal supplies. Thanks for sharing! What is the background research for this? I know this experiment has to do with osmosis so I need to know about that, and also hypotonic and hypertonic solutions. Is there anything else I need to know for the project? 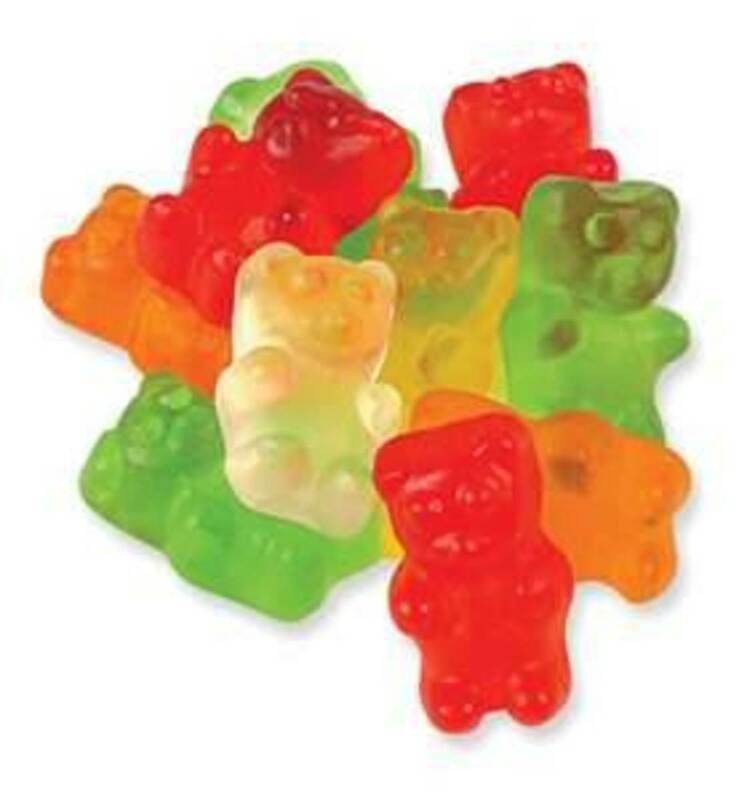 By the way, while scrolling through these pictures my mouth was watering; I love gummy bears! Yes, it does work. Just do not use hot water ... tends to melt the gummy bears. 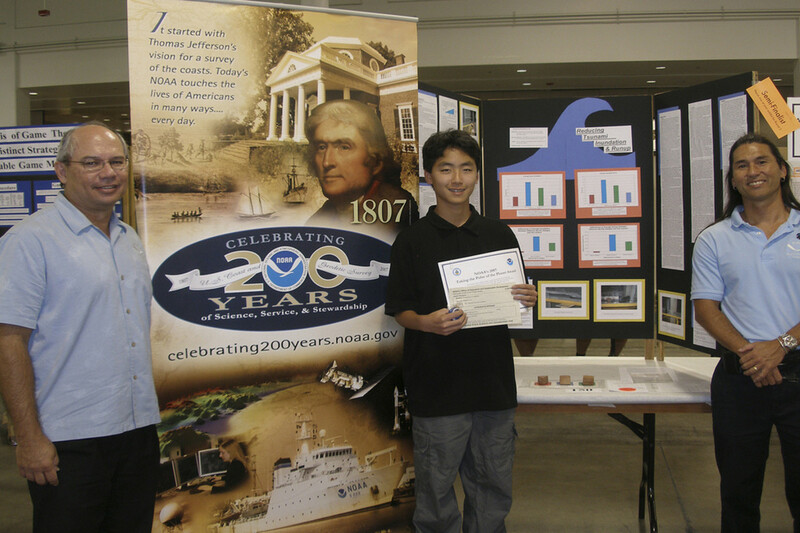 I'm doing this for my science fair project. It's really fun. just overnight it got REALLY big! Everyone should do this, it's a great experiment. This is a great science project idea! Amazing! New idea . Need patience . Thank you. a yummy science experiment! 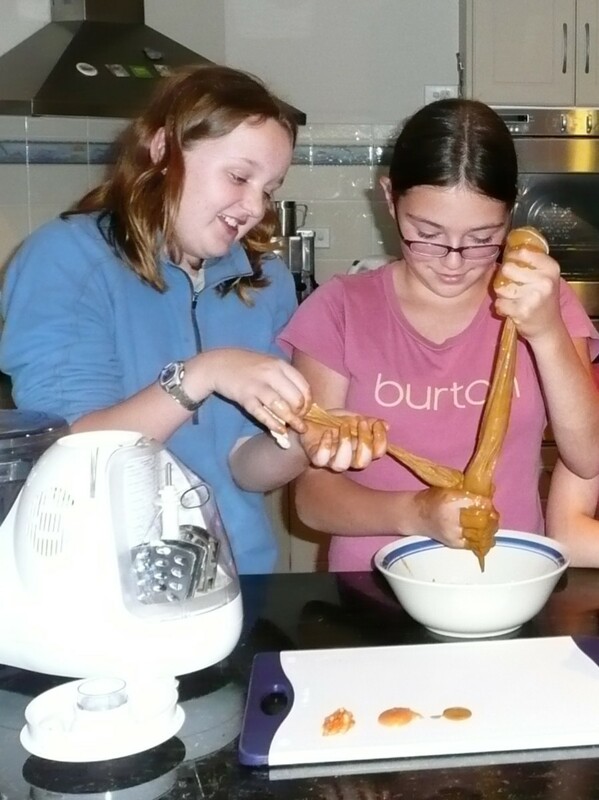 I think we'd end up eating them all before the experiment was over! What a fun and interesting idea. I see gummy projects and lots of research in our future!